Once inside Summer Lake Wildlife Area it was on. 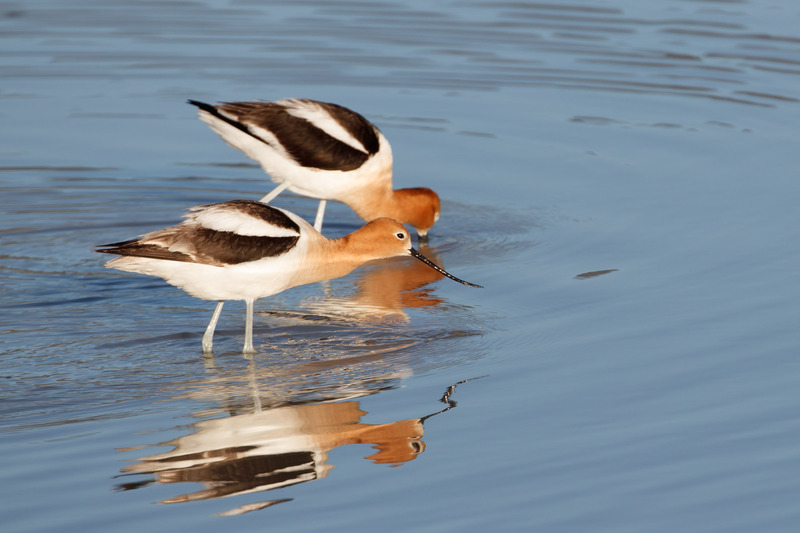 I had no responsibilities or schedule to keep, my only job was to look at birds and I looked at as many as I could. It was exciting and overwhelming all at once. This must be what vacation feels like? 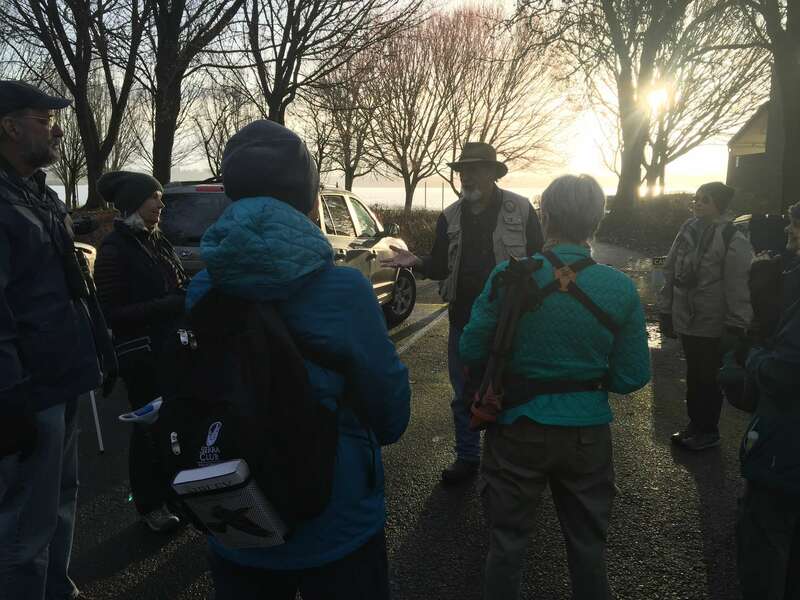 The refuge itself is set up much like Ridgefield National Wildlife Refuge with an (8.3 mile) auto tour loop. 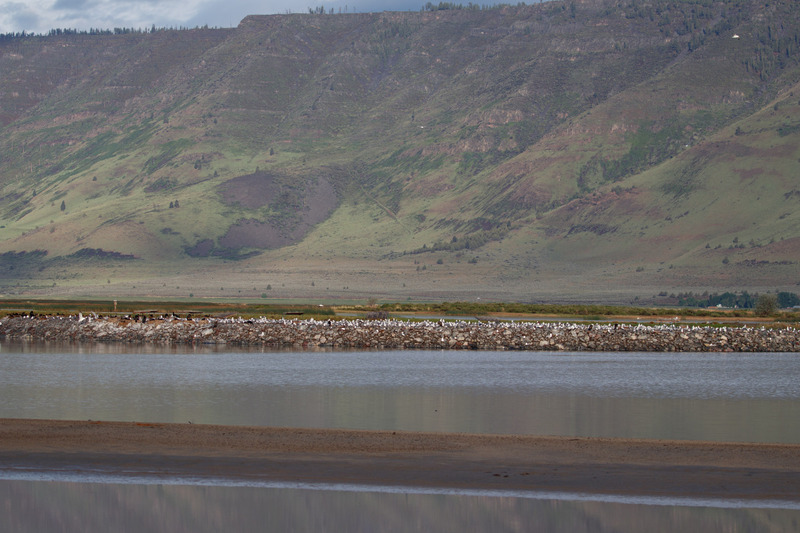 There’s places to park and walk along the dikes, and a few camping areas on the refuge. Here’s a map. The best time to visit is spring (Mar-Jul), the auto route is closed during hunting season (Oct-Jan). The weather can be crazy, thunderstorms, hail, wind. And there’s a few bugs. But it’s worth it because there are birds. So many birds. At headquarters there were Cliff Swallows, Tree Swallows, Say’s Phoebe, Black-headed Grosbeak, Western Kingbird and House Sparrow. Sometimes lined up all in one place. Looking at hummingbird feeders next to headquarters I was rewarded with the only hummingbirds of the whole trip, Black-chinned Hummingbird. 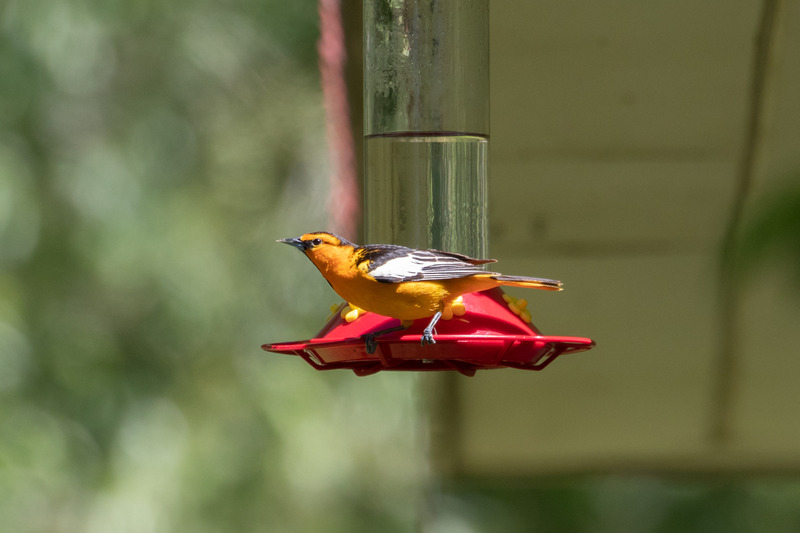 But I saw more Bullock’s Orioles at the feeders than hummers. 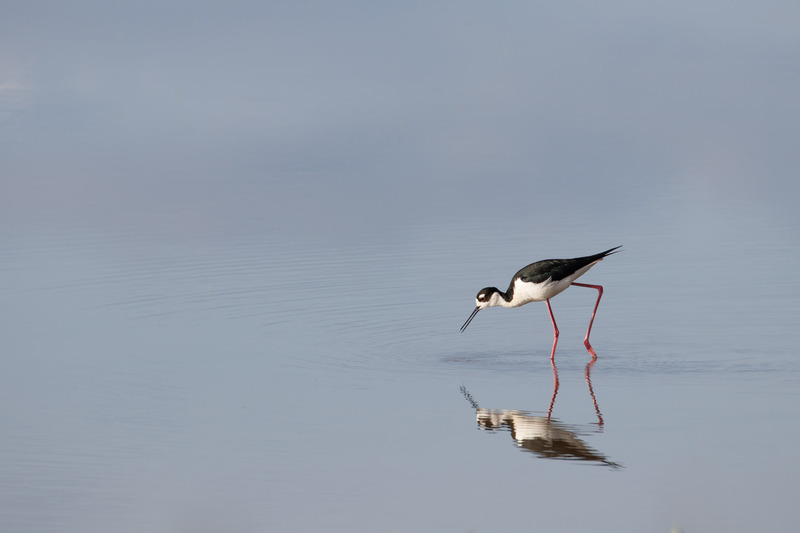 The real stars of this refuge are the long-legged kind. I probably went around the loop a dozen times (at least) and each time I’d see something different or unique. 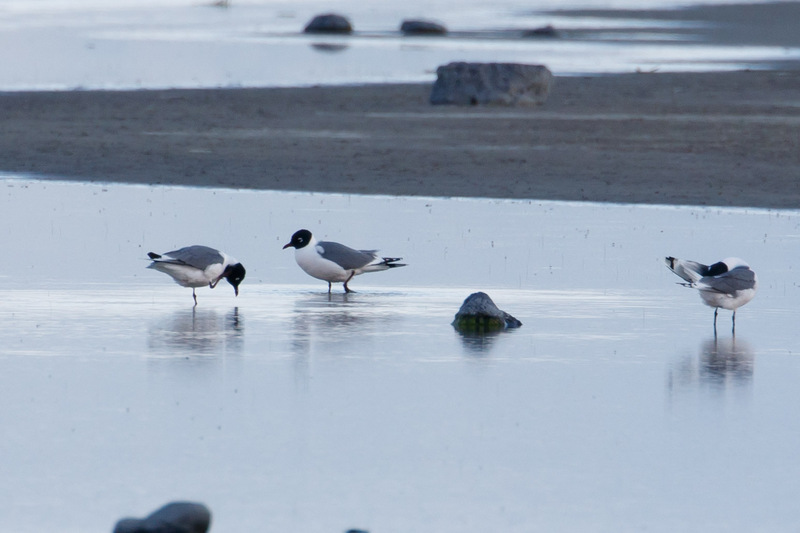 Some of the more unusual sightings included this trio of Franklin’s Gulls seen only on the first night. 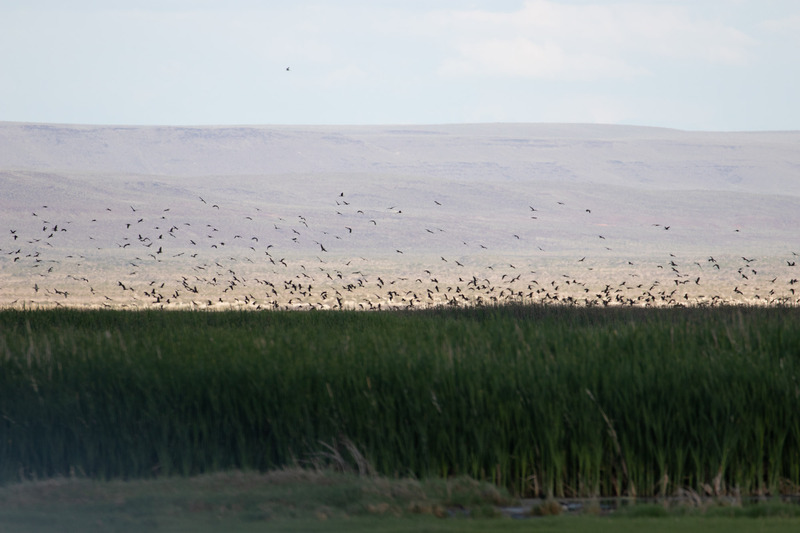 And the same night a Bald Eagle flew over a marsh in the distance creating an amazing White-faced Ibis chaos cloud. 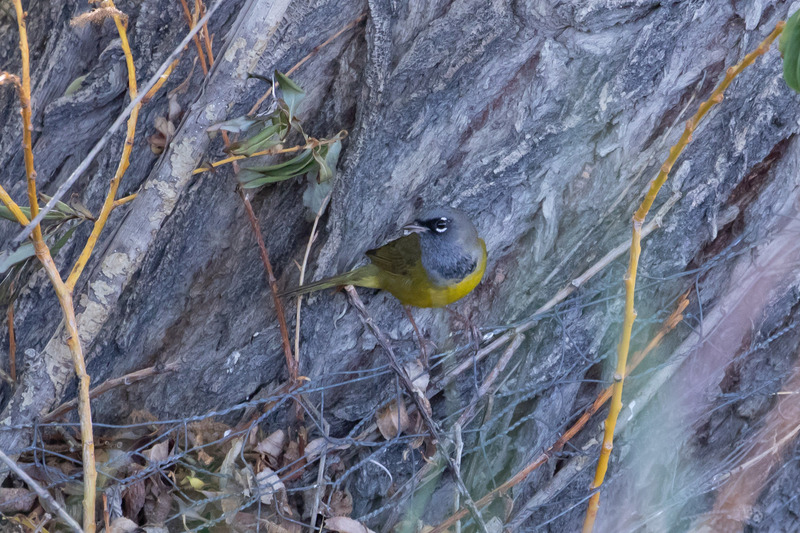 While scoping out camping options just before a storm, I noticed a small patch of willows full of warblers, Yellow Warbler, Wilson’s Warbler, Warbling Vireo, and a MacGuillivray’s Warbler that made a special appearance. There are Caspian and Forster’s Terns, California and Ring-billed Gulls, and Double-crested Cormorant nesting colonies here. 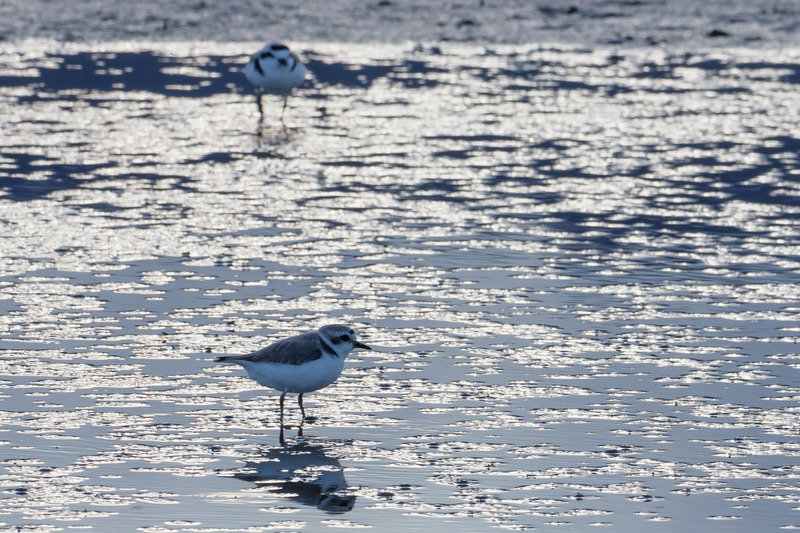 Did I mention there were Snowy Plovers? 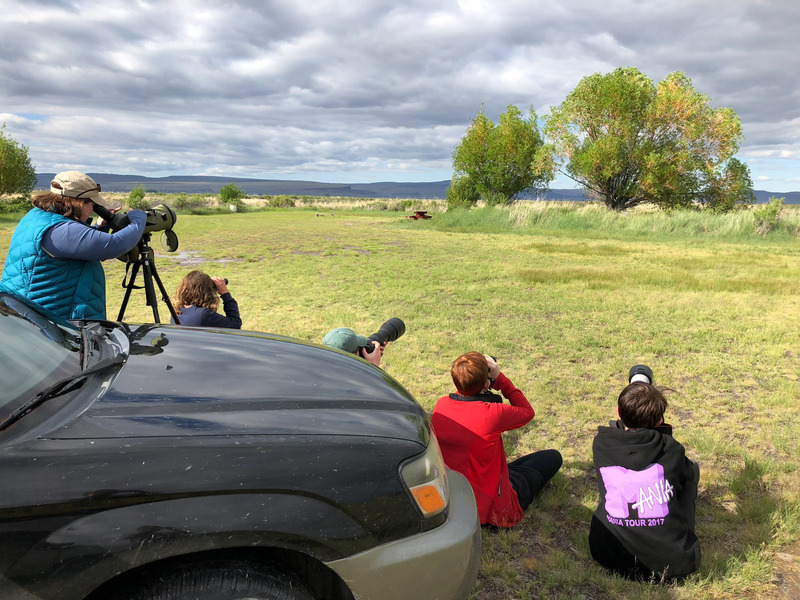 I spent so much time on the refuge I was able to help out the Owl Be Damned Birdathon team (the world’s greatest women’s birding team) that happened to visit while I was there. 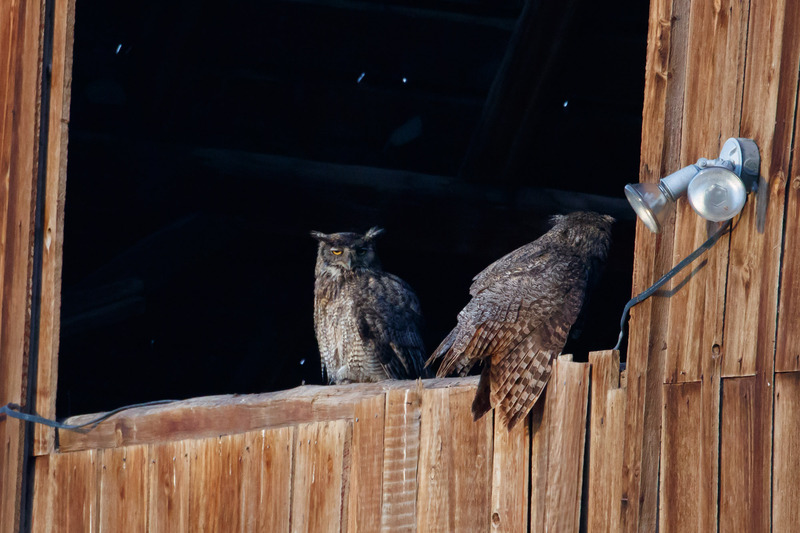 Together we looked at Great Horned Owls, including owlets! A Western Grebe with a pile of babies on its back that I only got terrible photos of. 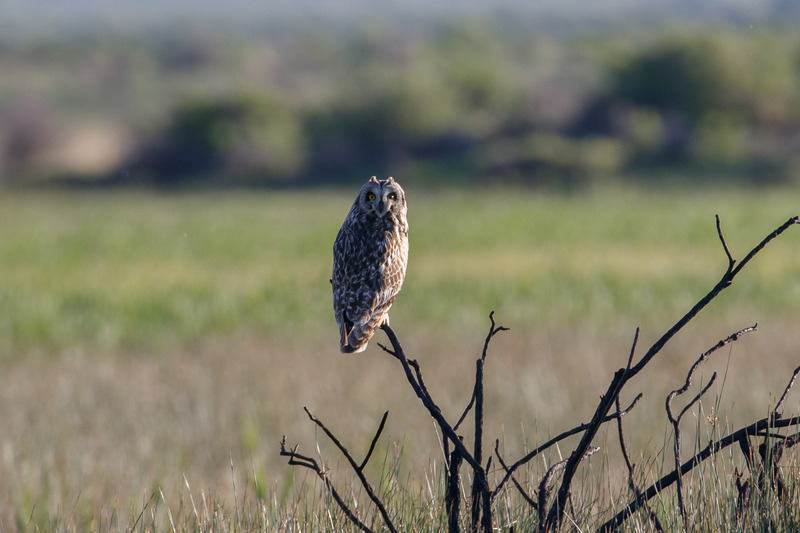 And I was also able to share with them a Short-eared Owl that was one of the best surprises. 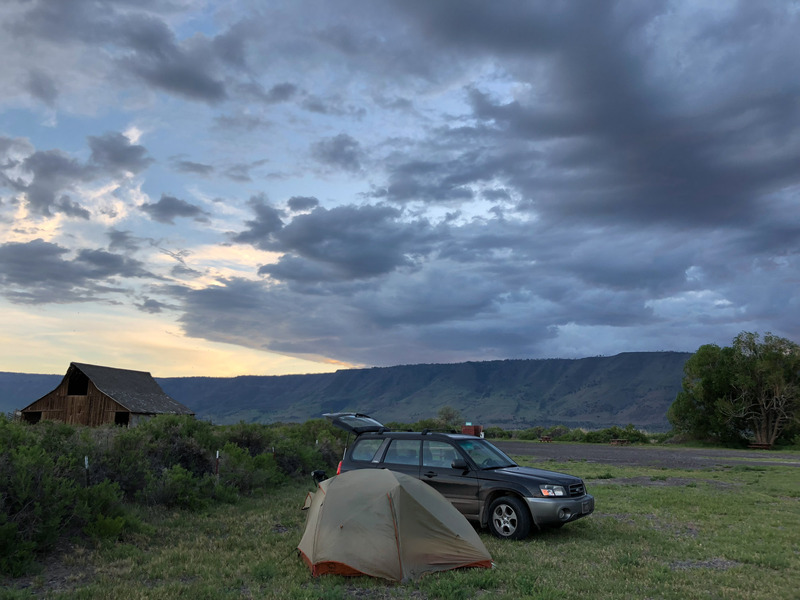 I camped on the refuge two nights, and both times I was the only person at the site. One night was so stormy and windy I made the executive decision to move into a barn. 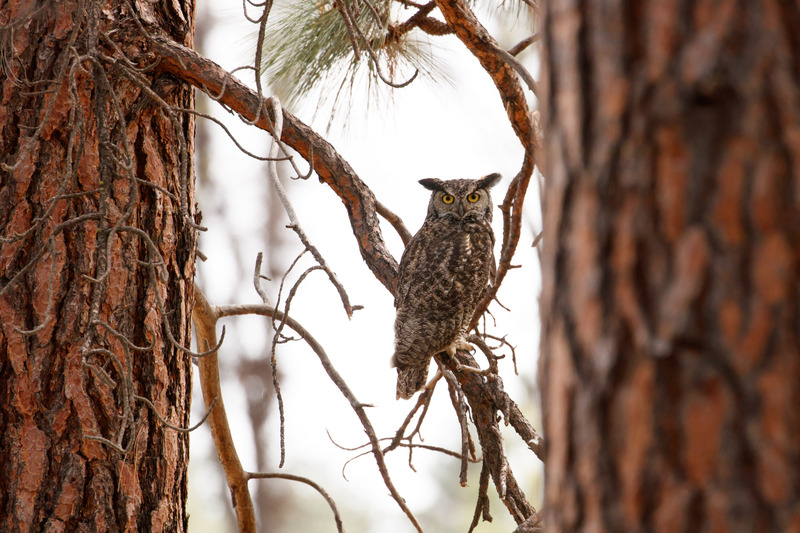 It helped block the wind, and gave me a nice wake-up call to a pair of Great Horned Owls hooting so that was nice. Such an amazing place! Something fun around every corner. Thank you for visiting Summer Lake, please come again. I used to think county birding was silly. But that was before I realized how much fun it can be. Birds don’t adhere to geopolitical boundaries, but it’s a good excuse for humans to get out of the house and go exploring. 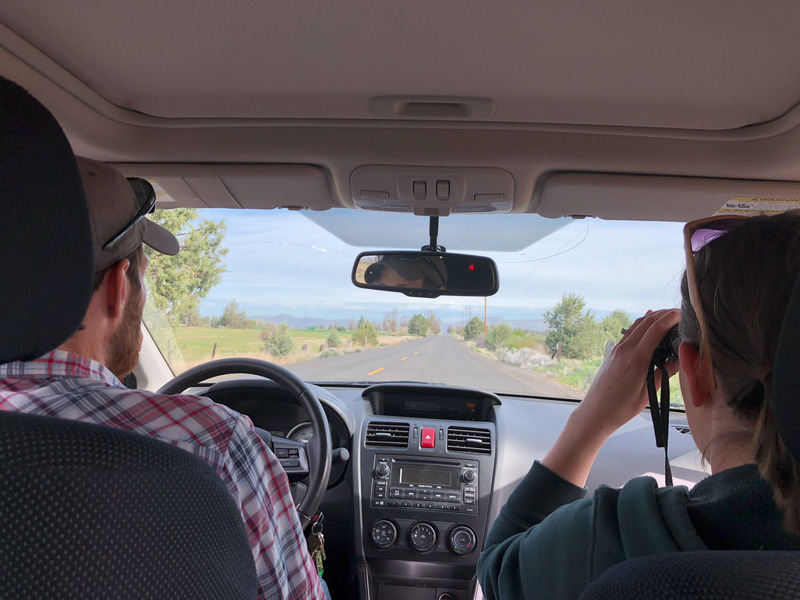 Which is exactly why I said yes when Sarah and Max invited me to join them for some Wasco County birding. I’d picked up 30 species the weekend before, so I didn’t have much of a goal, but Sarah and Max only needed three more species to make it to 100! 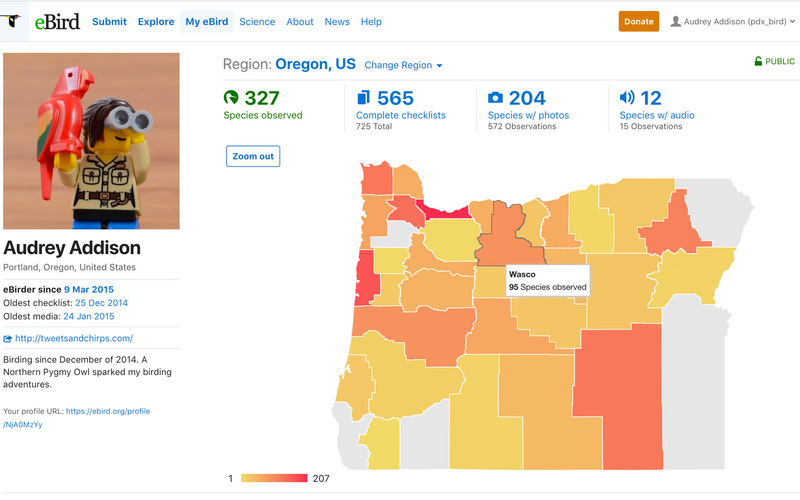 Luckily, eBird organizes sightings by county so it makes it super easy to see county numbers. 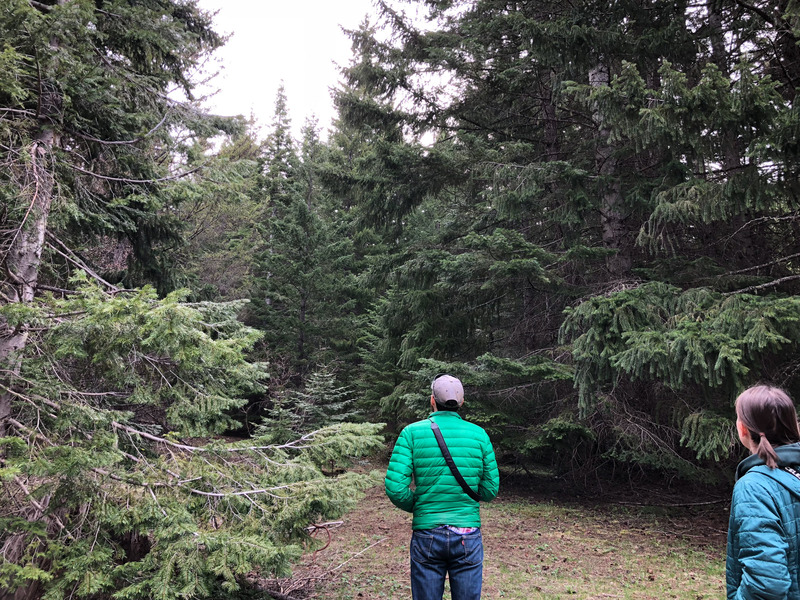 We decided to make a large loop through the county starting in the higher elevation forest east of Mt Hood where we heard Hermit Warbler, Purple Finch, Varied Thrush, Pacific-slope Flycatcher, and Cassin’s Vireo. 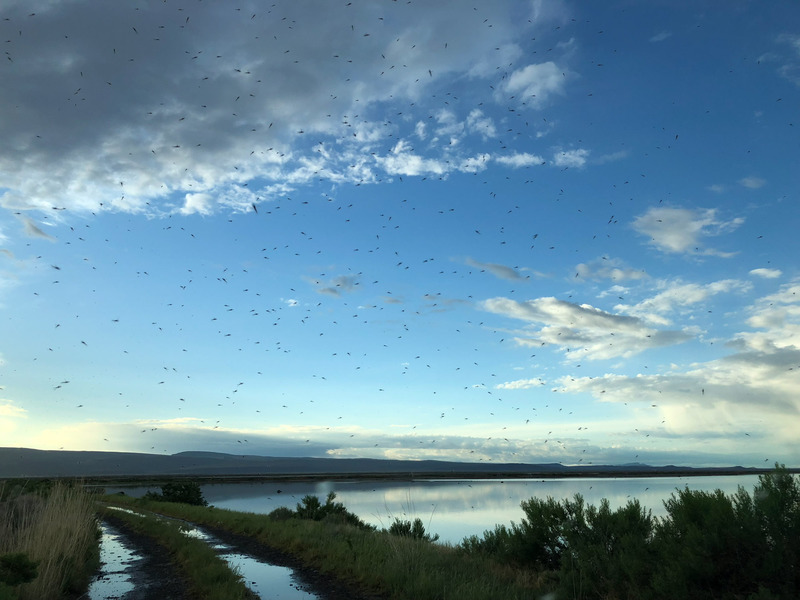 Quickly we dropped out of the forest into the scrubby rangeland and farmland habitat and scanned trees and powerlines for more birds. 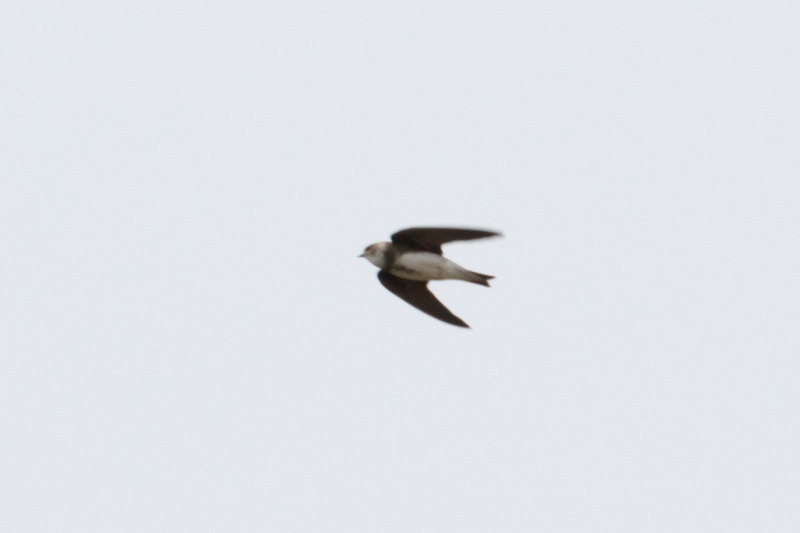 Almost immediately, Sarah saw a Tree Swallow which turned out to be their 100th county bird! 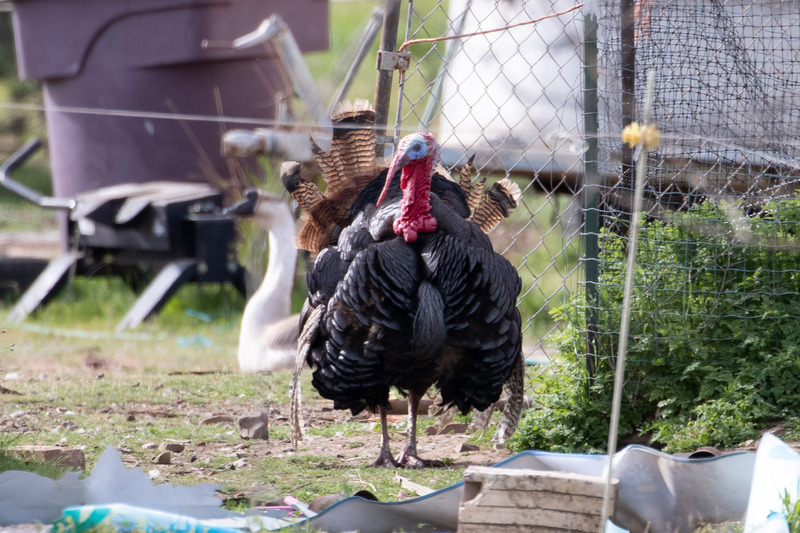 A nearby yard turkey gobbled in celebration. 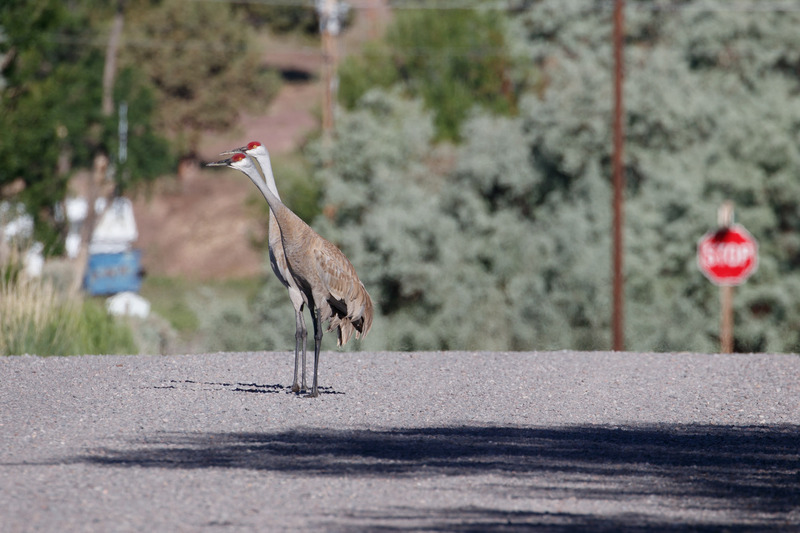 We thought there’d be more of a challenge, but it turns out county birding is easy. 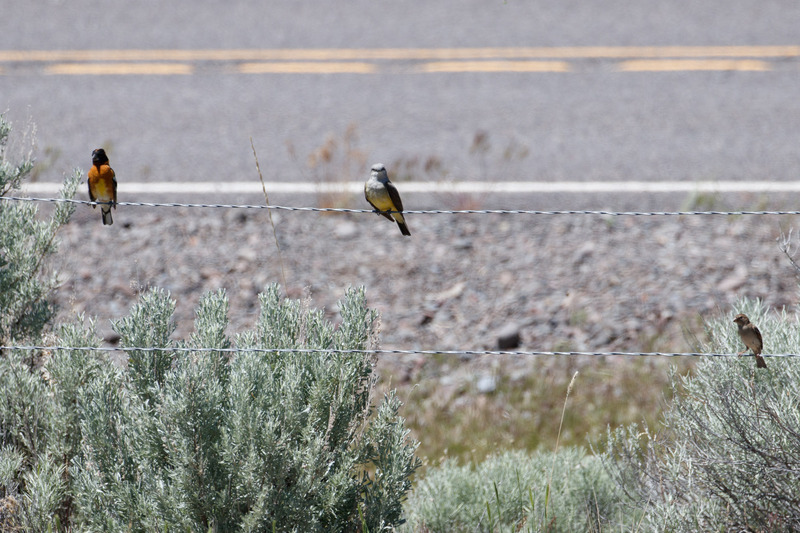 We stopped for the Mountain Bluebird on a wire. We ended up seeing 15 (!!) in total. 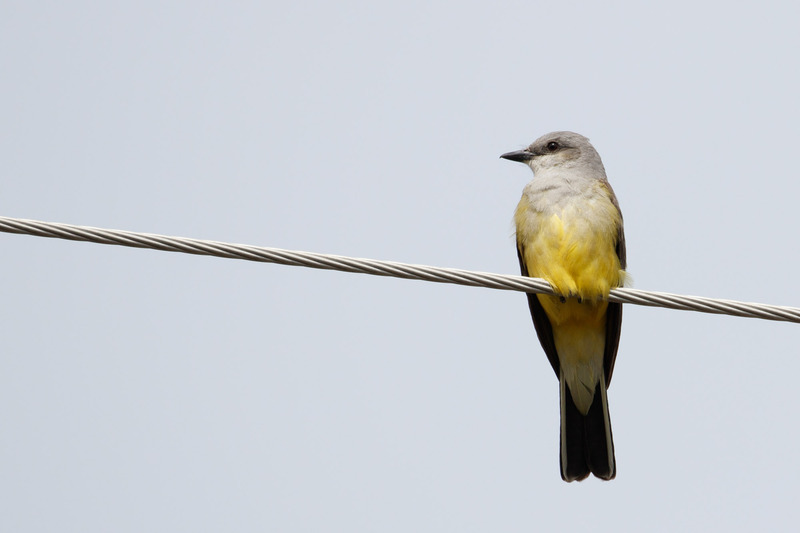 Wasco County is the king of kingbirds. 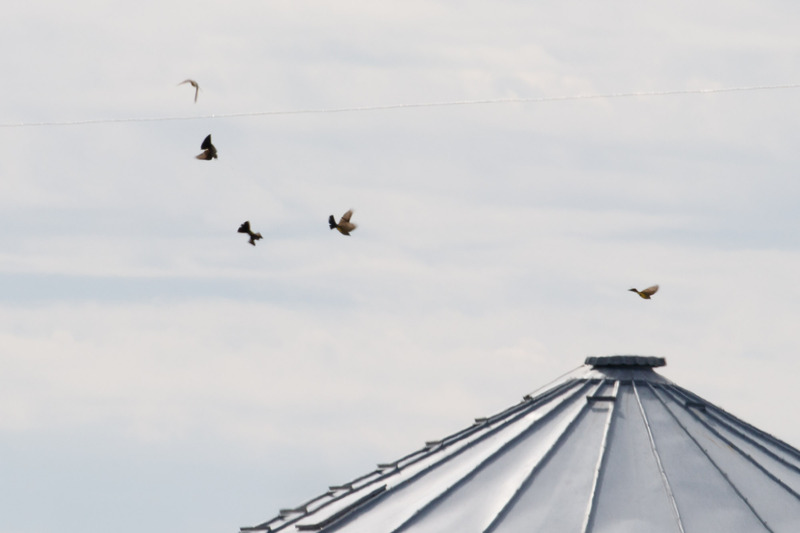 Here’s five at once that looks like a flight sequence. Before our trip I’d messaged our friend Brodie since he lived in Wasco County before so he knew where all the good birding spots were. 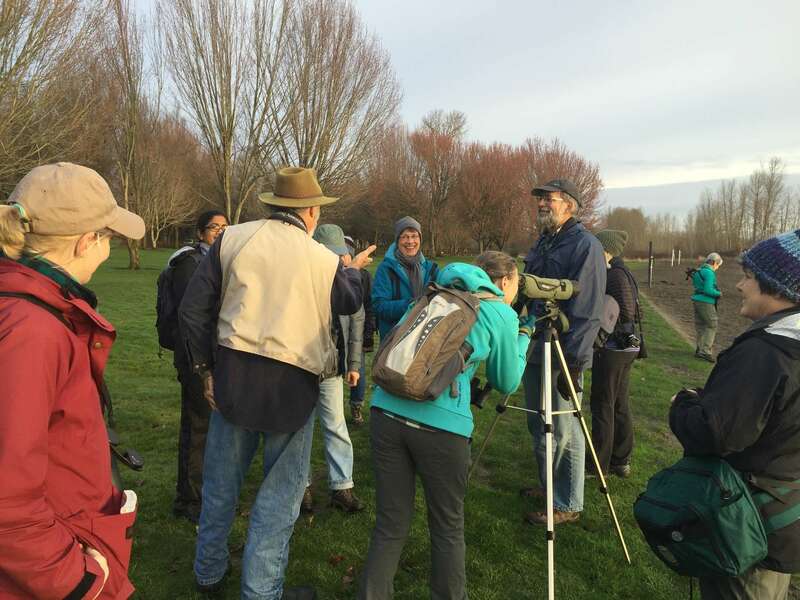 He had lots of tips, one of which led us to a farm field looking for Long-billed Curlews. 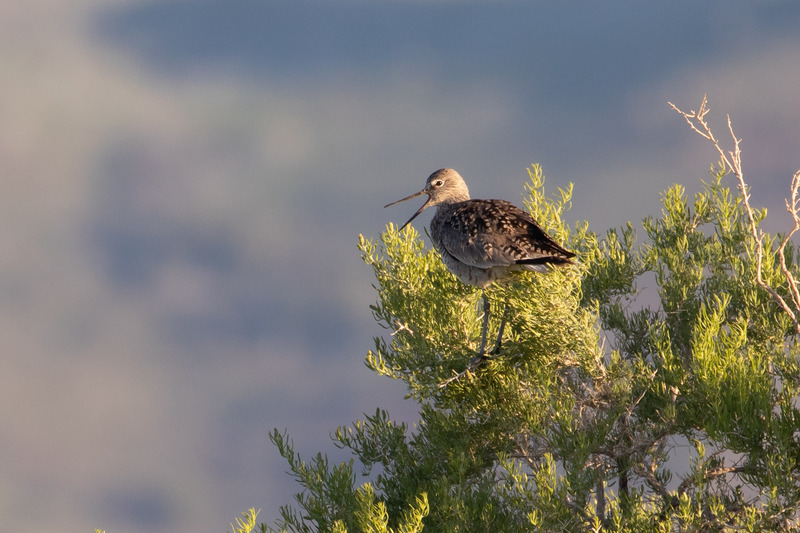 We saw a large, buffy shorebird with curved wings far in the distance defending its territory from a Northern Harrier. It flew our direction, then dropped down into a row of shrubs on private property. It was an exciting sight, but sadly, no photos. 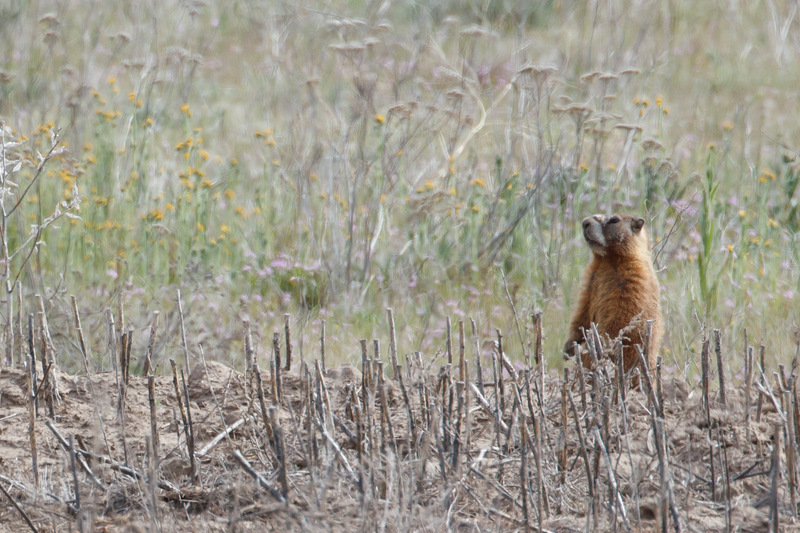 Instead, we had closer views of Yellow-bellied Marmots. 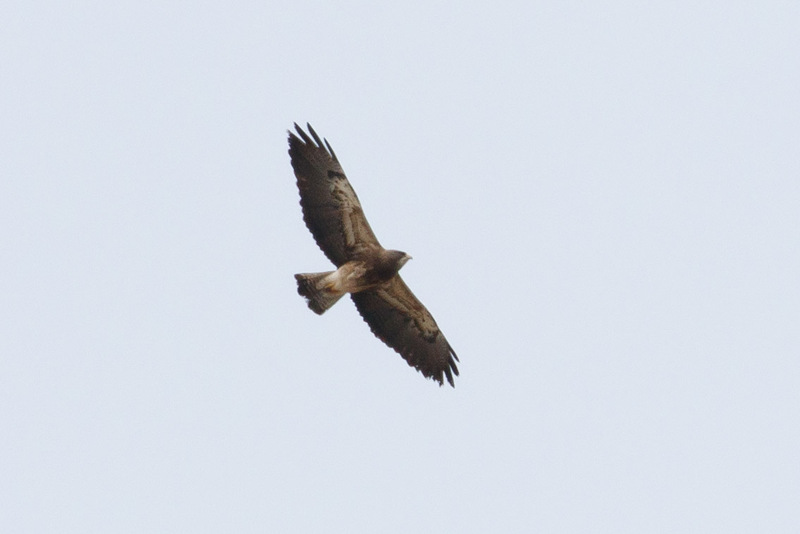 And later a nice soaring Swainson’s Hawk. Brodie’s brother lives in Maupin and he was kind enough to let us stalk his hummingbird feeder for a Rufous Hummingbird, that I only got a blurry photo of. While waiting we also saw a Western Tanager fly over. We were on a roll. 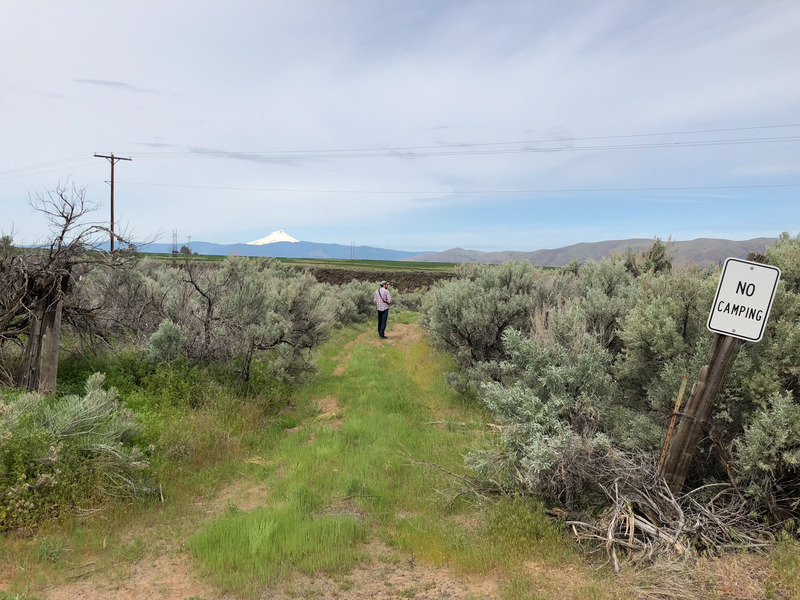 At a sage bluff overlooking the Deschutes River a Canyon Wren sang out and then we made eye contact with a Peregrine Falcon. We’d hoped for a Golden Eagle, but missed seeing one the whole day. 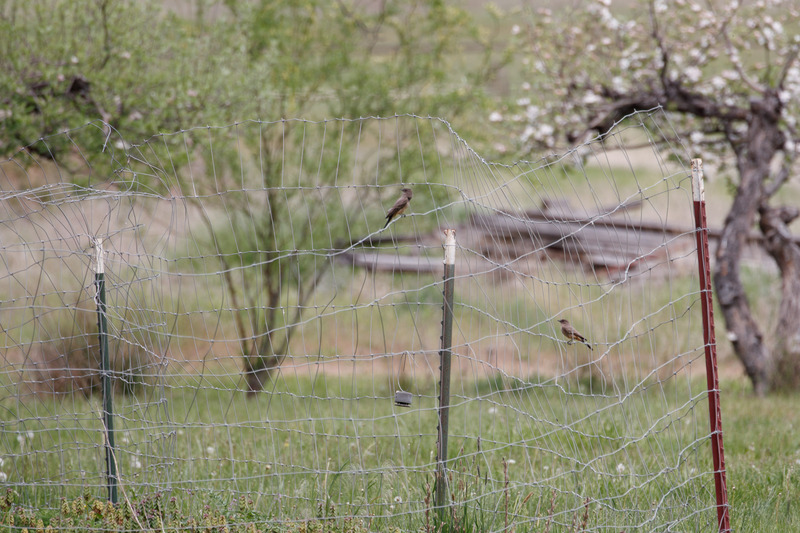 As we turned to leave we heard a “sparrow” singing in the brush that sounded too good not to follow. 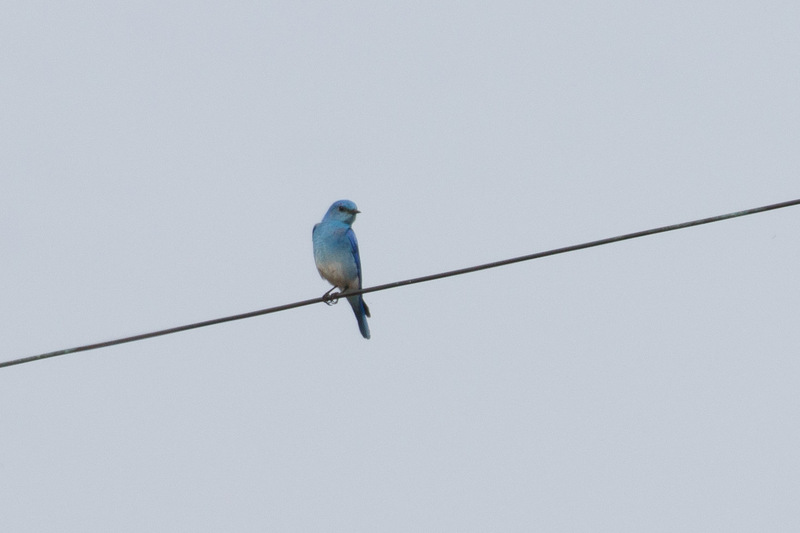 We never got visuals, but after recording the song and having multiple reviewers listen, it turns out this bird was actually a Lazuli Bunting! Recording in this checklist. 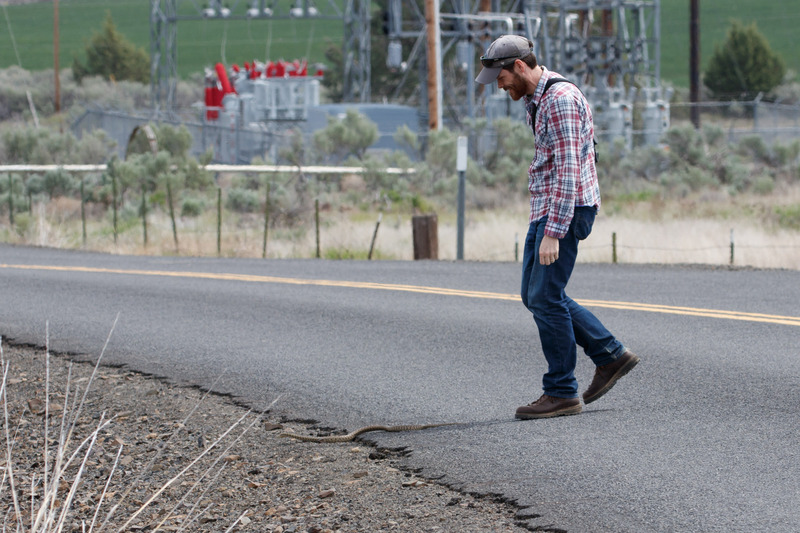 We left, but not before Max stopped to rescue a Bull Snake in the road. 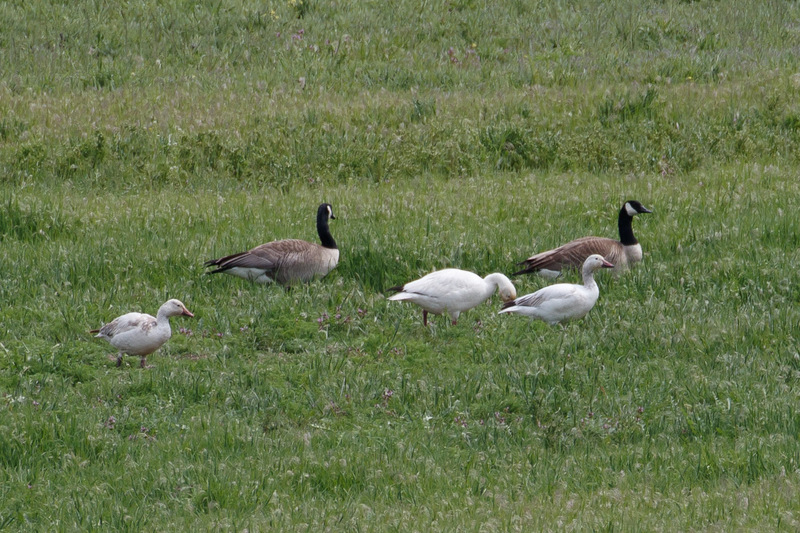 After all this, why not go look for a few rare Snow Geese? So easy. The geese were located near Price Rd Wetlands which is a basically a large private estate with distant views to water below. 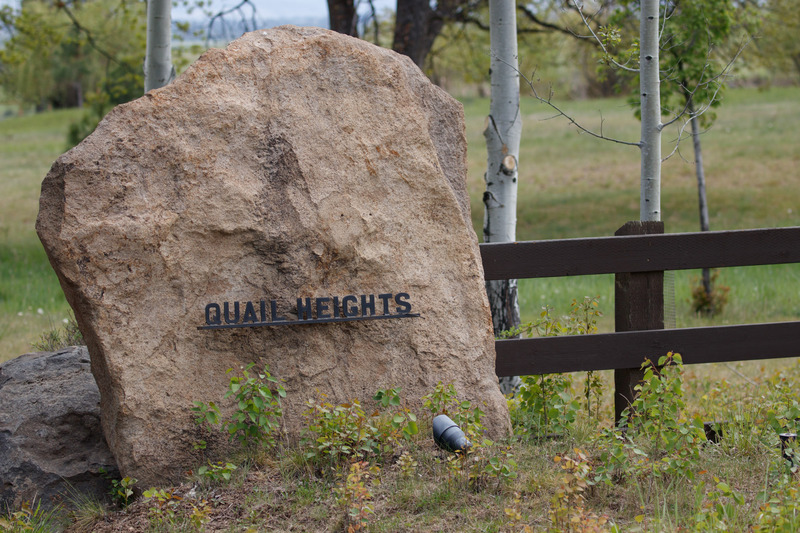 If only we knew who lived at Quail Heights. Nevertheless, from the bluff we saw Yellow-headed Blackbirds, Black-billed Magpie, Lewis’s Woodpeckers and Max heard an Ash-throated Flycatcher here. 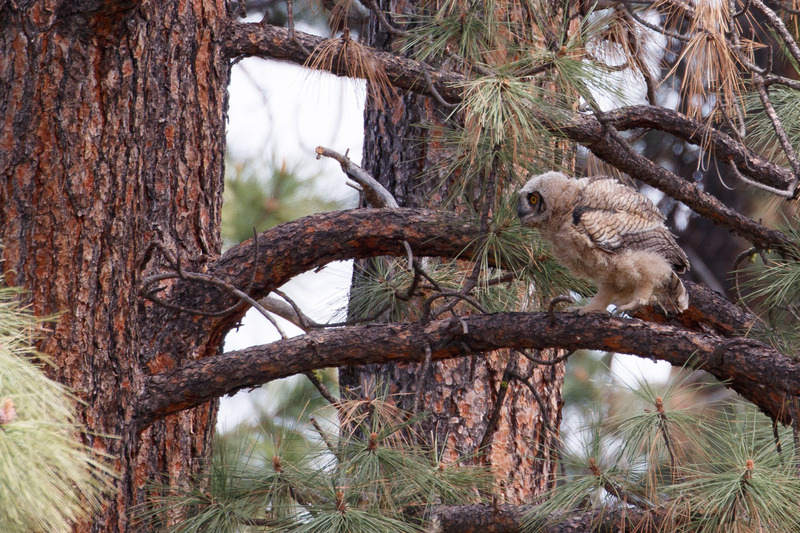 And down the road we spooked a Great Horned Owl. 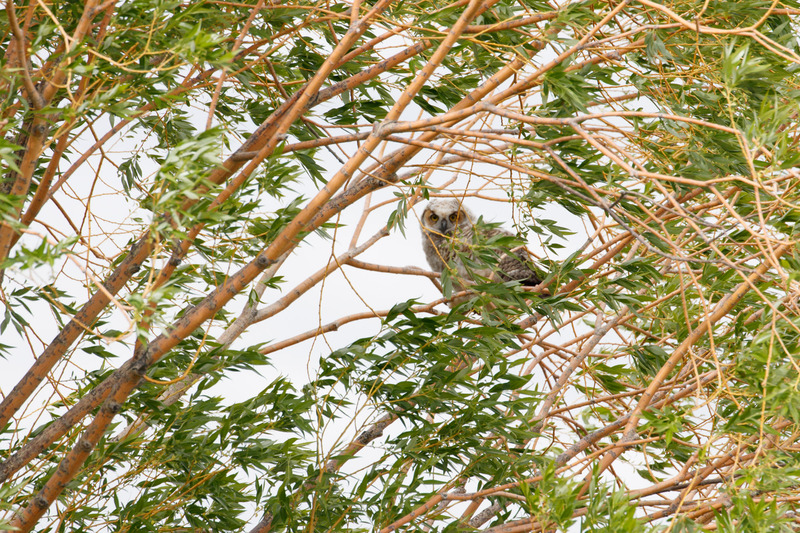 That led us to find owlets! Practicing branch-walking. A very fun find. 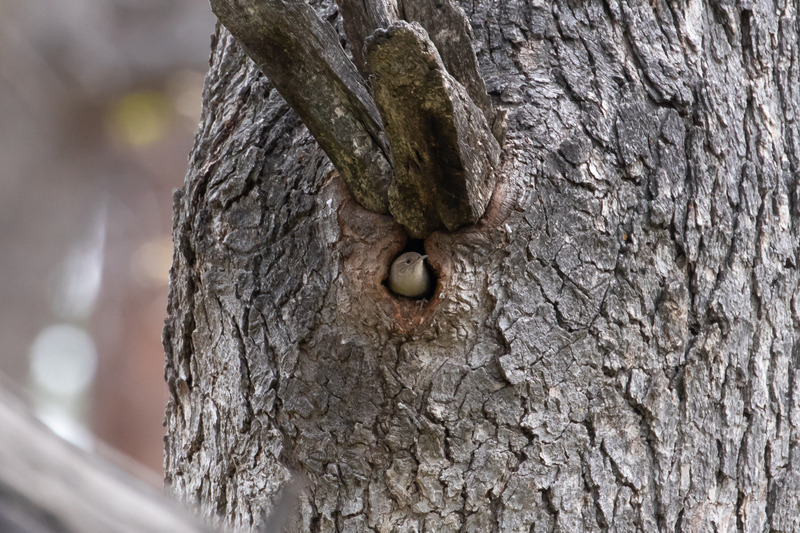 While watching the owls we stirred up a few other birds including a Pygmy Nuthatch, Bushtits, and little House Wrens checking out nest holes. At the bottom of the hill we tried to turn Red-winged Blackbirds into Tri-coloreds, and Say’s Phoebes into more kingbirds. 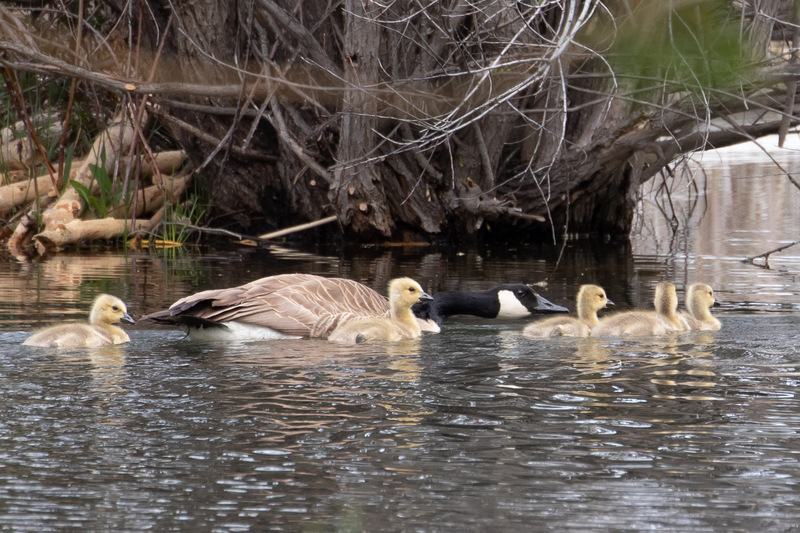 By the creek we had Yellow Warbler, Wood Duck, a family of Canada Geese. 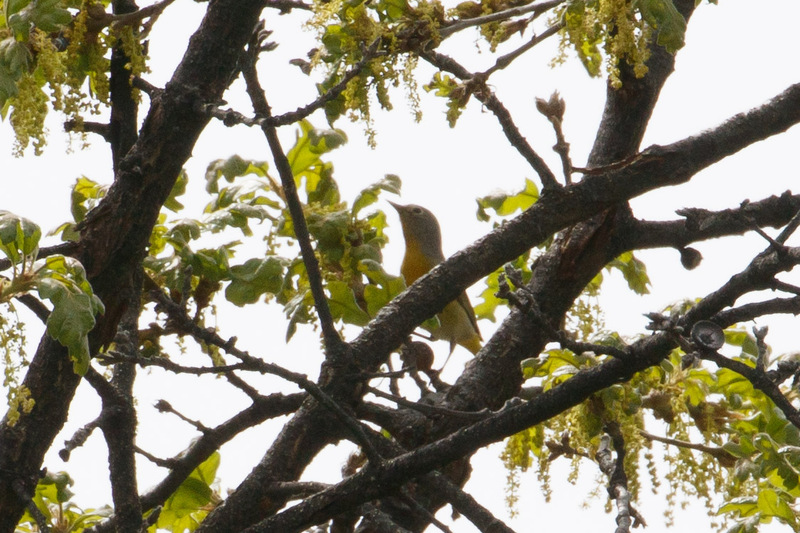 And I got a photo of a warbler that turned out to be a Nashville Warbler! A great county bird. We made a couple more stops to pick up Bank Swallow. 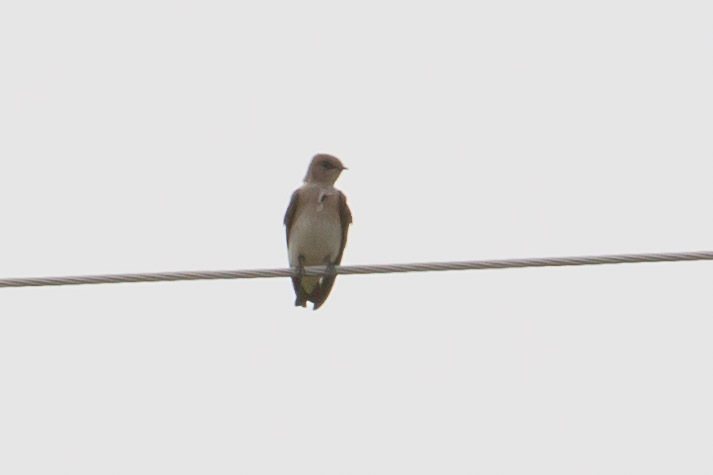 As well as Northern Rough-winged Swallow. The county birds just kept coming. 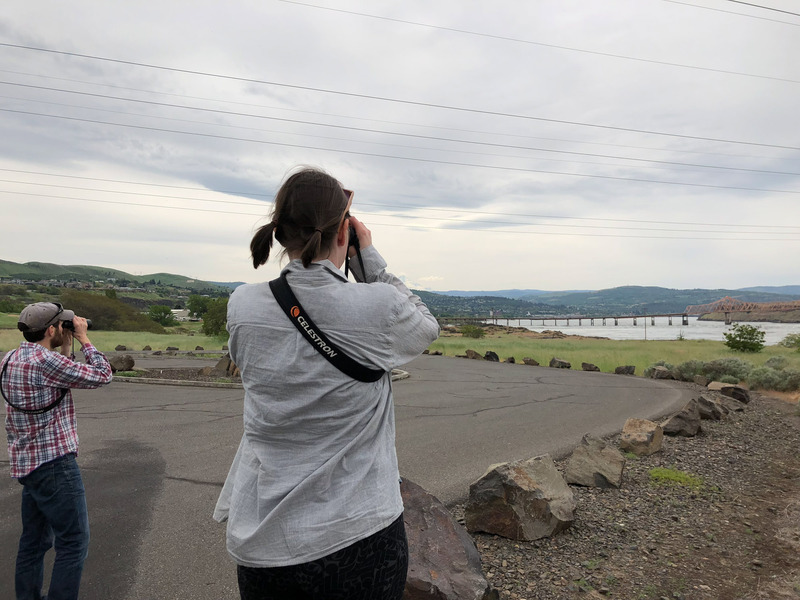 Until we finally reached Seufert Park next to the Columbia River in the Dalles where we’d hoped for a pelican or two, but instead rounded out the day with Double-crested Cormorant, California Gull, and yet another Western Kingbird. Such a fun day! We ended up seeing a total of 87 species, bringing Sarah and Max to 120, and me to 95! Only 5 species away from 100. 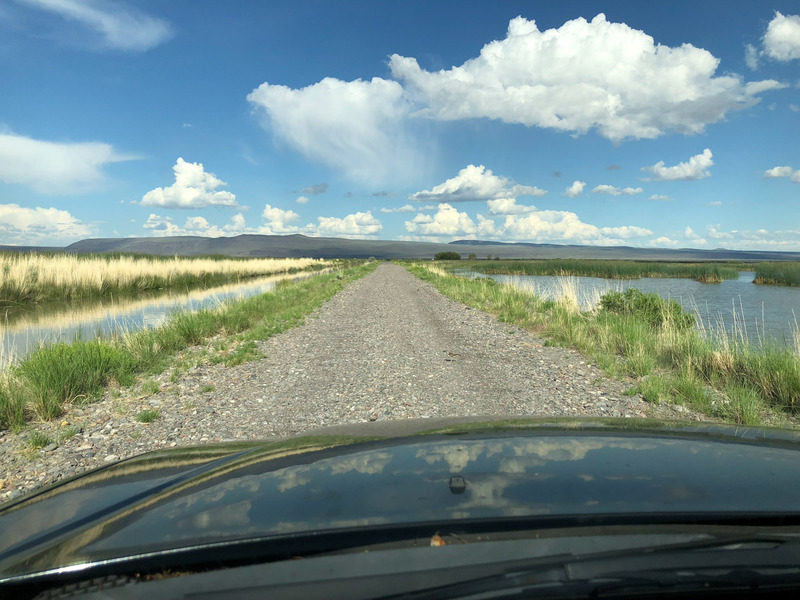 A great excuse to get out of the house and go explore Wasco county again. It’s been a while since I’ve seen a new sparrow. Certainly not for lack of trying. 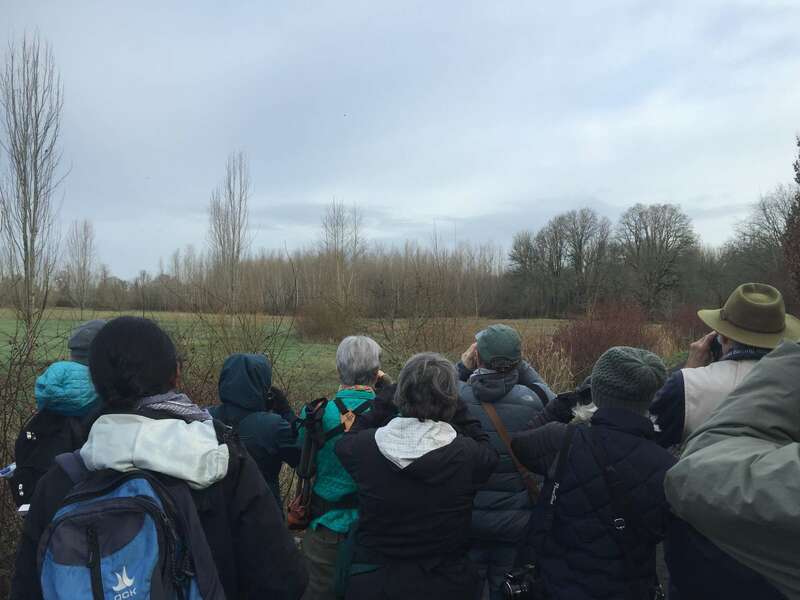 Since before the first of this year, I’ve looked for little brown birds with that extra bit of flair at several locations including Jackson Bottom, Fernhill Wetlands, Ridgefield NWR, Sauvie Island, and Vancouver Lake. But still no luck. So when I saw White-throated Sparrows were a target species for one of Audubon’s free outings a couple of weeks ago I was pumped. We met early at Vancouver Lake on a day forecast for steady rain showers. The lake waters started slow, a couple of Double-crested Cormorants flew by, and Cackling Geese flew overhead, and then things picked up with thousands of Snow Geese, multiple Sandhill Cranes, and a pair of Tundra Swans passing by above. Walking along the trails increased our species sightings with Western Meadowlark, Fox Sparrows, White-breasted Nuthatch, Pacific Wren, Red-winged Blackbird, Great Blue Heron, Great Egret, and American Kestrel. To name a few. Walking back on the park roads that’s when the sparrow magic happened. 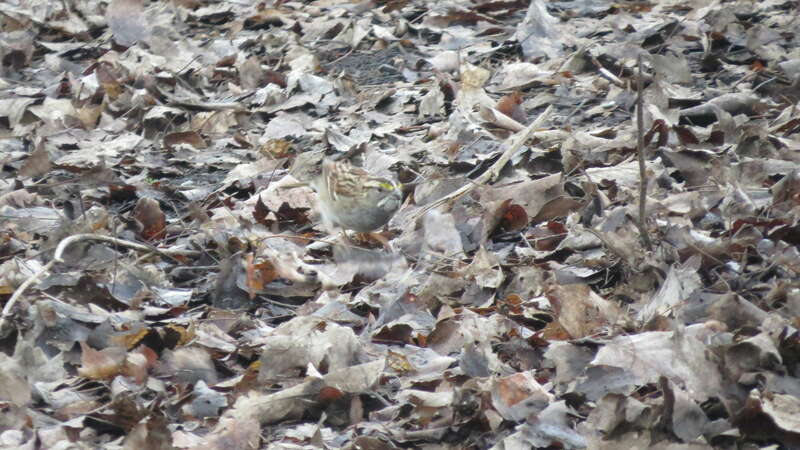 Not just a pile of leaves, there’s a White-Throated Sparrow in there! 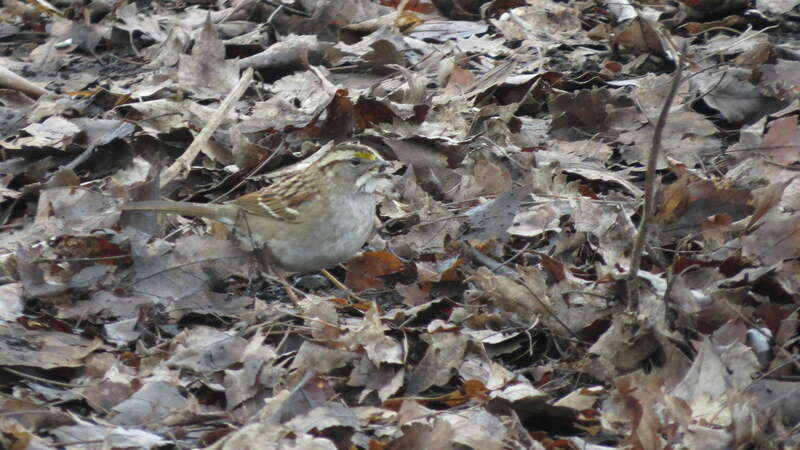 There were a few hopping around and kicking leaves within the groups of Golden-Crowned Sparrows and Dark-eyed Juncos. Success! Sometimes it helps to have more eyes and a seasoned guide to find the bird. 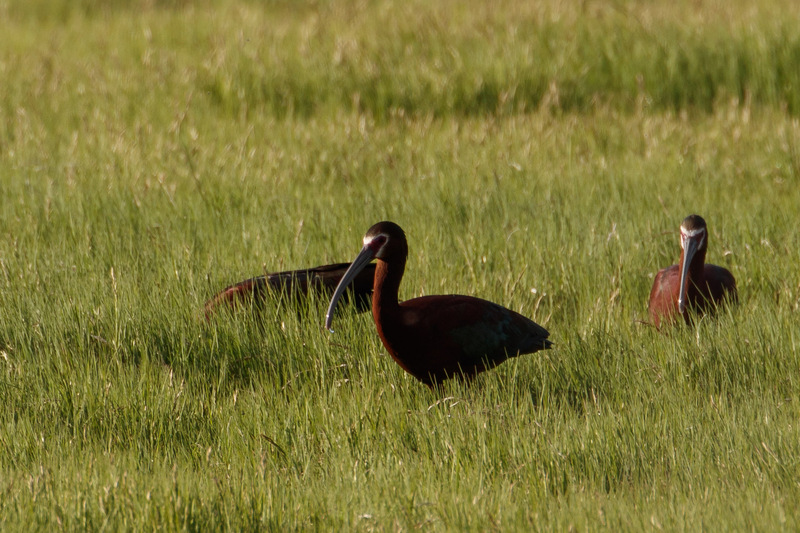 Oddly, on this trip I took more pictures of people than birds even though we saw more than 50 species! It was not the greatest light conditions, but with no rain AND a new sparrow? I call that a good day.